Following weeks of preparation, anticipation and a little bit of nervous energy, we -the UN Imagine2030 Team- finally hit the bumpy roads of BiH. We embarked on our 2 week long journey through 9 different cities and towns with one major goal in mind – to raise awareness about the Sustainable Development Goals. Our first stop – a small town in central BiH called Vitez. As we drove through the foggy hills of central BiH, we could barely keep our excitement at bay, the sirnicas also helped. It was the beginning of a journey intended to encourage alternative futures and catalyze a sense of ownership over the SDGs for not only the next 14 years but share values which could make a change for the next 50. We set out to channel meaningful conversations about people’s lives and the priorities within their local communities, all the while ensuring that their concerns were acknowledged and voices taken into account. By the end of our first workshop, it became evident how many ideas these people engaged in their local communities had. 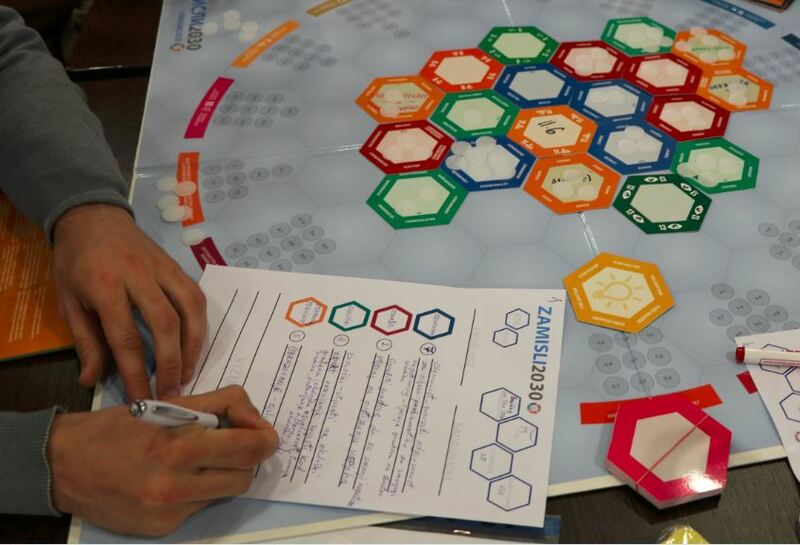 With our new interactive board game designed to present a new way of initiating dialogue fresh off the print, we could not be more excited to test it out on the field. This first workshop was our first real engagement and we can truly be thankful to our participants for their vigor and eagerness to make the most out of the experience. 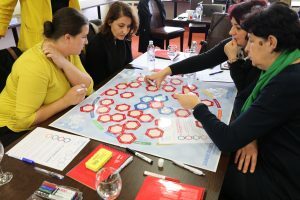 Consisting of 2 table of participants from regional municipalities, civil society organizations, and educational institutions the group was keen to jump to the issues surrounding Vitez and initiate change. We learned a great deal from these people, and we can only hope that they went home thinking positively about the experience but also about the future of our country. At the end of the workshop, it became evident that our months of effort were not in vain. We know we can’t change the world overnight, however we are eager to spark the idea of a different, brighter future for our country. We hope that this trip will allow us to not only present a new way of thinking about the future, but also engage everyone we meet to incorporate the SDGs in their daily lives and work together towards an improved BiH. In the meantime, we will be travelling to our next workshop in Bihac so if you see a white van with eager individuals talking about the future, be sure to come say hi.